Preston manager Alex Neil blamed speculation linking him with the vacant West Bromwich Albion managerial role for his side's heavy defeat at The Hawthorns. 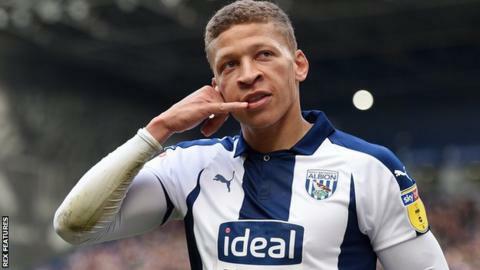 Dwight Gayle's hat-trick all but ended Preston's fading top-six hopes as the Baggies inflicted a fourth-straight defeat on North End to solidify their own play-off position. The victory was Albion caretaker James Shan's fourth in six games in charge but Neil continues to be linked with the job and says the rumours affected his players. Neil said: "I thought that it [the speculation] got to the players. I could see it in their eyes before the match. With Albion virtually assured of a play-off place - nine points above seventh-placed Middlesbrough with four games remaining - they must decide whether to stick with Shan or appoint a new man. And Neil, who achieved promotion to the Premier League through the play-offs with Norwich City in 2015, called for an end to the uncertainty. He added: "It needs to be brought to a conclusion. There has been no approach to Preston. So there is nothing to say. There is nothing for me to hide. "When you've got a decision to make, then you are in control. There is no decision to make. "I would imagine something would take place over the next couple of days and then whatever will happen will happen at that point." Gayle opened the scoring for the hosts, volleying Chris Brunt's cross beyond Preston keeper Declan Rudd before quickly doubling his tally by finding the far corner from the edge of the area. Jay Rodriguez added a third just before half-time from close range and Gayle completed his treble with a fine finish in the second half. Callum Robinson scored a late consolation goal for Preston but defeat left them 12th, still eight points adrift of sixth-placed Bristol City. Their margin of defeat could have been wider but Rudd saved efforts from Stefan Johansen and Rodriguez in the opening 20 minutes. After Gayle notched his hat-trick with Rodriguez striking in between, the returning Matt Phillips nearly added a fifth for Albion when he forced Rudd into a good save late on. "They [the club] have asked me to look after first-team affairs until further notice and that is where we sit and where I am now. "They (Gayle and Rodriguez) are both fighting it out to be our top goalscorer. I thought that to get our two highest scorers on the pitch was really important. Match ends, West Bromwich Albion 4, Preston North End 1. Second Half ends, West Bromwich Albion 4, Preston North End 1. Josh Ginnelly (Preston North End) wins a free kick in the defensive half. Attempt missed. Chris Brunt (West Bromwich Albion) left footed shot from outside the box is close, but misses to the right. Attempt blocked. Mason Holgate (West Bromwich Albion) left footed shot from the right side of the box is blocked. Assisted by Matt Phillips. Substitution, Preston North End. Josh Ginnelly replaces Alan Browne. Corner, West Bromwich Albion. Conceded by Ryan Ledson. Attempt blocked. Stefan Johansen (West Bromwich Albion) left footed shot from outside the box is blocked. Assisted by Dwight Gayle. Corner, West Bromwich Albion. Conceded by Declan Rudd. Attempt saved. Matt Phillips (West Bromwich Albion) right footed shot from the right side of the box is saved in the bottom right corner. Assisted by Mason Holgate. Corner, West Bromwich Albion. Conceded by Jordan Storey. Foul by Ryan Ledson (Preston North End). Attempt missed. Kyle Bartley (West Bromwich Albion) header from the centre of the box misses to the right. Assisted by Chris Brunt with a cross following a corner. Attempt saved. Kyle Bartley (West Bromwich Albion) header from the centre of the box is saved in the bottom left corner. Assisted by Kyle Bartley. Attempt blocked. Alan Browne (Preston North End) right footed shot from the centre of the box is blocked. Assisted by Sean Maguire. Attempt saved. Jay Rodriguez (West Bromwich Albion) header from the centre of the box is saved in the top centre of the goal. Assisted by Craig Dawson with a headed pass. Darnell Fisher (Preston North End) is shown the yellow card for a bad foul. Jay Rodriguez (West Bromwich Albion) wins a free kick in the attacking half. Goal! West Bromwich Albion 4, Preston North End 0. Dwight Gayle (West Bromwich Albion) header from very close range to the high centre of the goal following a corner. Attempt saved. Dwight Gayle (West Bromwich Albion) right footed shot from outside the box is saved in the top right corner. Substitution, West Bromwich Albion. Matt Phillips replaces Jake Livermore. Corner, Preston North End. Conceded by Conor Townsend. Attempt missed. Jay Rodriguez (West Bromwich Albion) left footed shot from the centre of the box misses to the left. Assisted by Mason Holgate with a cross. Hand ball by Stefan Johansen (West Bromwich Albion).